The ESUSA Member Seal designates your program as part of the nationwide network of El Sistema- inspired music education programs. 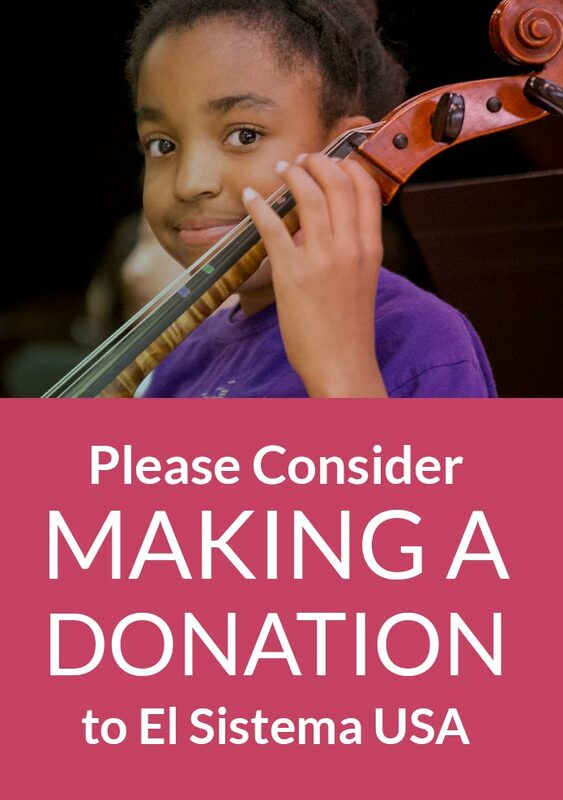 It is designed to be used on your website, with a link to ElSistemaUSA.org, or on printed materials for marketing and fundraising purposes. Proudly displaying that your program is a part of the national movement means that you receive support from El Sistema USA and all of the other programs within our community. It’s a Seal that represents our commitment to working together in solidarity to serve more children in more communities across America. We are proud to have your program as a Member, and appreciate your proudly displaying our Member Seal online and elsewhere. By displaying the Seal, you promise to uphold our Core Values as stated here. You agree to be an advocate for the communities you serve in order to encourage positive change, to seek peace and unification through music, and to avoid divisiveness and hate. As an ESUSA Member, we look forward to supporting and encouraging you and appreciate your support and encouragement in return. Displaying the “Proud Member of El Sistema USA” seal is a Member-Only Privilege. ESUSA’s member seal is available to all active members upon request. If a company or individual does not renew its membership with ESUSA, or chooses to cancel its membership before the end of its membership cycle, the member seal must be removed from the member’s website. ESUSA reserves the right to refuse the member seal to any organization, at its sole discretion. Without further notice, ESUSA reserves the right to prohibit the use of the seal if it determines its use is not in strict accordance with the terms and conditions outlined here, or otherwise could discredit ESUSA or tarnish its reputation and goodwill. A high-resolution version of ESUSA’s Member Seal may only be downloaded for free from the Store once you’ve logged in to our Member Portal.